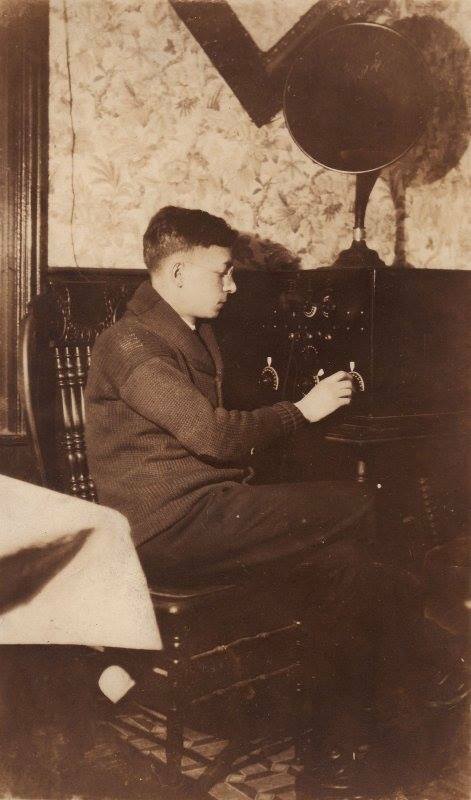 Did you know your grandfather was 14 when he had to quit school to help support the family? My father also was supposed to quit at 14. But he loved school so much (he was skipped 3 semesters in elementary school so that he was already in high school when he turned 14) that he begged his father to let him stay in school. They agreed to a compromise: he could continue in school if we went to work after school. He became a messenger boy. He succeeded in winning a full scholarship to the University of Pennsylvania where he went for about a year. Then he nearly died of double pneumonia (probably the 1918 influenza epidemic) and lost his scholarship.